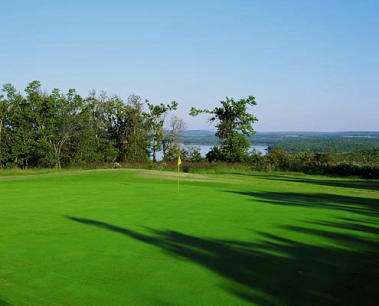 Brier Creek Golf Course, is a Semi-Private, 9 hole golf course located in Stigler, Oklahoma. Brier Creek Golf Course first opened for play in 1970. Brier Creek is a hilly course. The course has many trees that can alter your shots. Two lakes that come into play on four holes. The greens are well maintained and easy to read. Brier Creek Golf Course plays to a 9-hole par of 35 and a maximum 9-hole distance of 2,885 yards. The course rating is 34.0 with a slope rating of 124. Hole #3, a 505-yard, par 5, requires a tee shot over water to a narrow fairway. There are additional sets of tees that can be used when double looping for an eighteen hole round.